In today's global economy, business rarely takes place in your neighborhood or in your own backyard. We're a generation of movers and shakers. When we travel, our stuff travels with us. IASpromotes.com sees this as a wonderful advertising opportunity. As we move across the globe, the things we carry pass through a number of valuable marketing spaces, including the airport, the street, public transportation, and our clients' hallways and offices. Take advantage of these moments as frequent and high value branding building opportunities by custom printing luggage, passport cases, wallets, and travel kits. This way, when your clients, students, and employees are on the go, so is your logo! Very few promotional products have the opportunity and likelihood of reaching such an enormous and diverse audience of potential customers. Nowadays we don't just travel our streets and communities for business, but we travel around our states, country, and the entire globe! 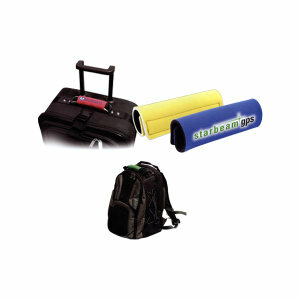 With customized promotional products clients from Detroit to Saskatchewan to Argentina to Asia can all see your logo and ruminate on your products or services. That's certainly a priceless marketing opportunity! Watch Your Brand Recognition Soar! 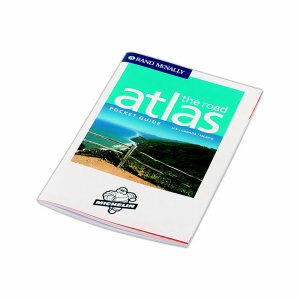 Travel items designed for the world traveler are perfect specialty advertising products. 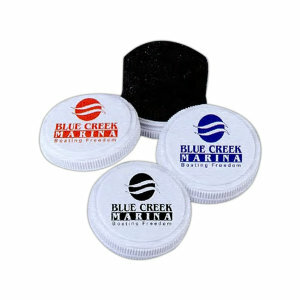 These custom promotional items work wonderfully as corporate gifts or client appreciation giveaways. 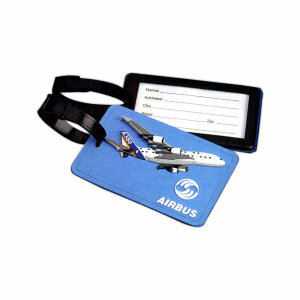 Because air travel is our primary mode of business transportation these days, customers, clients, and employees alike will appreciate travel related promo merchandise. These logoed travel products will serve both your company and your clients equally well. For you, they provide unmatched brand exposure. 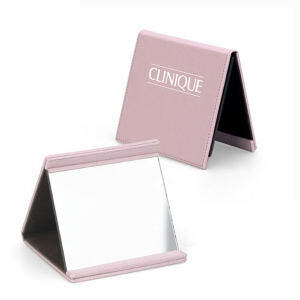 For your clients, they provide always need travel merchandise. 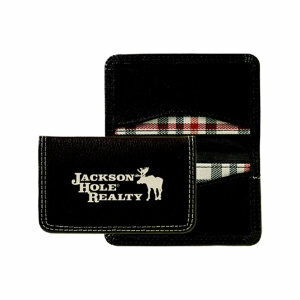 No one can have too many custom wallets, travel kits, luggage tags, or passport cases. And a new piece of corporate promotional luggage will never ever be turned down! We all know that sometimes the smallest items have the greatest impact. 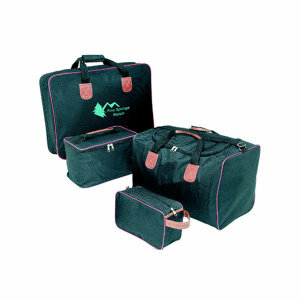 IASpromotes.com believes that is especially true of our smaller customized travel products. 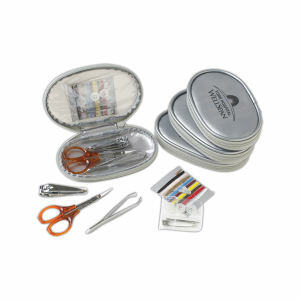 Promotional items such as shoe shining kits, toothbrushes, lint removers, and sewing kits, can make the world of difference to a client in a pickle. Promotional neck pillows, medicine pouches, and earplug packs, can add just the little extra comfort your clients are begging for on a long trip. 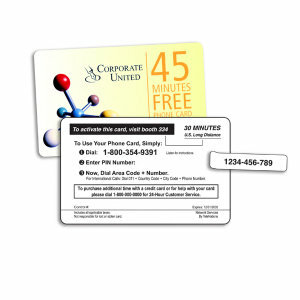 The impact of providing your customers with just the right item at just the right time is unmatched for promotional power. Your clients will always remember your brand as the one that saved the day when that child wouldn't stop screaming on the plane or their shoes scuffed as they were getting in the cab to their big meeting. If only all promotional products could be thought of as lifesavers! IASpromotes.com knows that not all business trips are glamorous international soirees. Sometimes business travel is just down the street or a short drive to a neighboring town. 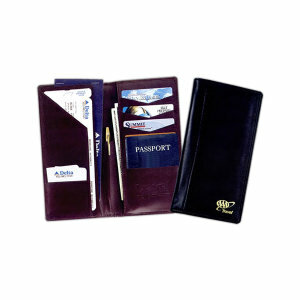 We stock thousands of useful personalized travel accessories for these types of business trips, as well. 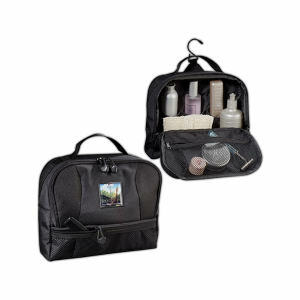 Our selection includes specialty travel mugs, printed car coasters, custom planners and calendars, and promo pocket-sized combs, brushes, and makeup kits. A jaunt down your town's main street can be as useful an advertising opportunity as a cross-country flight. If your clients' businesses are mostly concerned with local, make sure any promotional giveaways or corporate travel gifts are centered on day-to-day travel. These will have a meaningful impact on your clients, and your logo will still reach an enormous market of potential customers daily.